This is an invitation of support to Awakening to your Divine Master Self. Would you like to restore your divine birthright and reclaim a balanced life, peace and success in all areas of your life? I'm inviting you to receive and experience support .I serve as a sacred witness as a gateway keeper to of anchoring and sending pure Infinite Love Christed Transmissions . Be ready to open to love, wholeness and health as true nature and let go of old stories that no longer serve to reclaim perfection with grace and love and ease. During this 12-day journey we will transmit light to activate the codes of your divine essence and anchor in the Crystalline DNA of Divine Love, rewire and restoring your Lightbody to support optimal vitality physically, mentally, emotionally and spiritually. I am here to support your Soul's journey of remembering its true nature of light and love and all "you be" within the Christed light of love. The Divine Mother Earth.. Gaia is here ready to support your transformation into the Love that you are. Greater Aspect of all there is, is here waiting for you to reclaim your accumulated wisdom. Your Divine essence self is waiting . Are you Open to receive these transmissions? What is a Retonement Transmission? A Retonement Transmission is when the Greater Aspect of Divine truth, Gaia and I as a transmitter remotely and energetically send forth pristine waves of Divine Love from our Hearts into your Heart, purifying distortions and re-toning the awakening of the Truth of your divine nature. I will embody and transmit a vibration of Light and with each transmission we invite and align your heart to receive infinite love. What happens when I get a Retonement Transmission? During these Retonement Transmissions a field of infinite love is established within which you receive waves of pure Divine Love originating from the Greater Aspect ,the I Am Presence for the purpose of remembering and reclaiming your Awakened Master perfection. 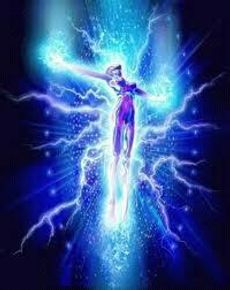 This octave of light activates the Divine Love within you, As a receiver you begin resonate with and hold this cohesive vibratory rate. Iit will naturally support you to release old identities, distortions, worries, doubts , barriers around the heart and powerfully transform imbalances reflected in physical dis-ease, emotional wounds, mental sabotage and spiritual separation. As your heart opens to the memory of your Truth you begin to live in greater health, abundance and clarity, relating to yourself and others more compassionately, peacefully and lovingly. Each day for 12 consecutive days I will transmit the Retonement energy from my heart to your heart .You do not need to do anything. Simply rest in the knowing that you are receiving this high vibration of pure Divine Love and it'll be so. Do you need to do anything to receive these transmissions? No, all you need is an open heart and the intention to receive these transmissions at any time you choose the energy will be present for you. The designated time the frequency may be more apparent t. Of course, it will be an additional benefit and blessing to yourself if you can sit quietly for 20 minutes while receiving and relax into your heart and open to these transmissions. However, please know, these transmissions do not require your attention in order to be effective. 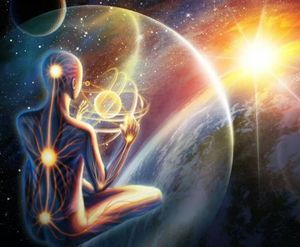 They are accessing your subconscious, unconscious and multi-dimensional levels of your Master Self and your Soul knows exactly what to do and what you need to receive within each transmission. Your divine Master Self will partner with Soul for what is perfect for you. Yes! Your precious 2-leggeds, 4-leggeds,swimming, crawlies or winged non-human family members can absolutely benefit .It takes the load off of them from dealing with their human companions . Receiving Retonement Transmissions restores their energies as well. 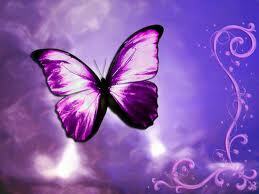 They too carry old patterns of trauma within their DNA that are ready to be released fully. 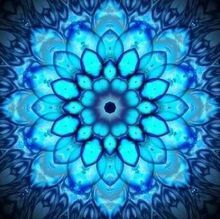 Frequencies are available for all to open their hearts to receive more love and in so doing experience less distress in their lives. Are you ready to collapse the Distorted Mind Matrix? Basically with stand in our authentic power with all our accumulated knowledge of all times. Use the gifts to the full potential that they are. Connect to Heal the aspects that run the negative thought patterns. What is that aspect? What is it's awareness? What is its hidden agenda? What is its dilemma What is it's virtue? Receive a chance to win free session!!!!! Click to sign up to receive my Newsletter and someone will randomly be drawn !! !